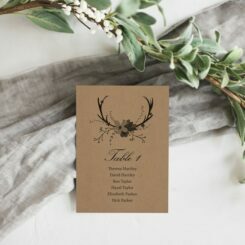 Be My Guest Design specialises in beautiful wedding stationery, particularly vintage-inspired and rustic style wedding invitations. I love how the little details come together to explain the bigger picture, so designing matching stationery pieces is a particular pleasure for me. Begin your design journey with a fun engagement invitation – something modern, bright and fun to kick off your wedding festivities. A Save the Date is often the first sneak peek into the wedding’s style. Asking to your bridesmaids to join your bridal party is another milestone in your wedding planning – and bridesmaid proposal stationery is one way to “pop the question”. 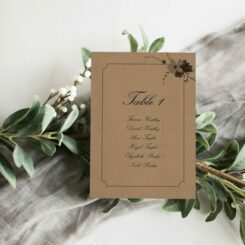 The big day is introduced by the wedding invitations – with matching information cards, RSVP cards and embellishments that are both beautiful and informative for your guests. Your wedding day details are tied together with matching wedding reception stationery, including signage, seating plans and guestbooks. And rounding it all off, show your appreciation to your guests with a thank you card.